From the creator of the popular blog The Monsters Know What They're Doing comes a tactics guide for Dungeon Masters. In the course of a Dungeons & Dragons (D&D) game, a Dungeon Master (DM) has to make one decision after another in response to player behavior—and the better the players, the more unpredictable their behavior! It's easy for even an excellent DM to get bogged down in on-the-spot decision-making—or to let combat devolve into a boring slugfest, with monsters running directly at the player characters (PCs) and biting, bashing, and slashing away. 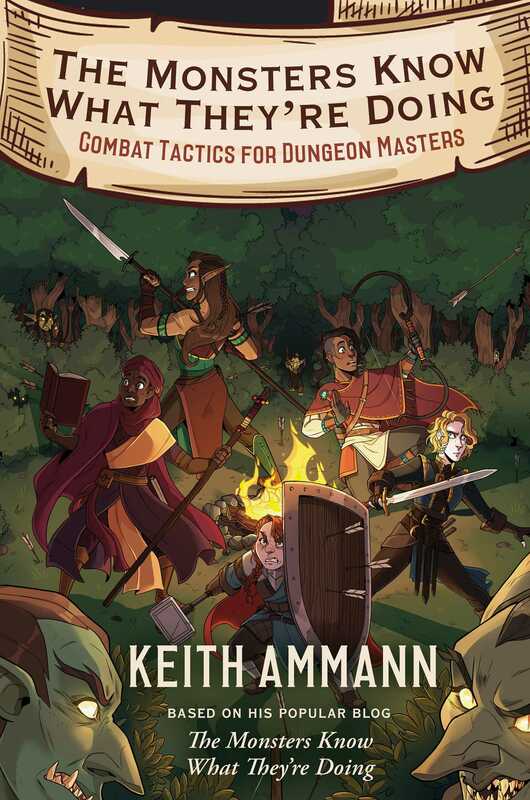 In The Monsters Know What They’re Doing, Keith Ammann lightens the DM's burden by helping you understand your monsters’ abilities and develop battle plans before your 5th Edition D&D game session begins. Just as a soldier doesn't whip out his field manual for the first time when he’s already under fire, a DM shouldnt wait until the PCs have just encountered a dozen bullywugs to figure out how they advance, fight, and retreat. Easy to read and apply, The Monsters Know What They're Doing is essential reading for every DM.